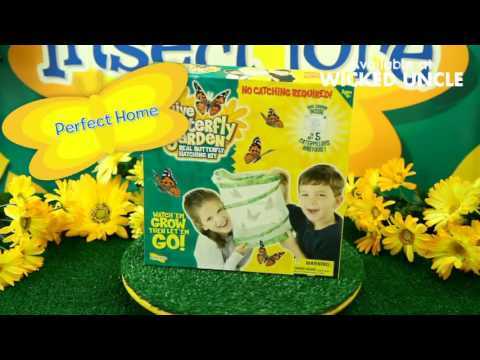 This fun Butterfly Garden set allows you to watch tiny caterpillars turn into Painted Lady Butterflies. The 30 cm tall reusable butterfly habitat is made of super clear mesh for better viewing and folds flat when not in use. Comes with a feeding pipette, activity guide and instructions, with a certificate that you send away in order to receive a set of 5 caterpillars (sent March to September). You then watch the tiny caterpillars grow up to ten times their size before transforming into chrysalides - these are then moved into the Garden where you watch them change into beautiful butterflies and release them into the wild, then do it all again next year. A great nature project that's fun and rewarding, fascinatingly popular with small people.